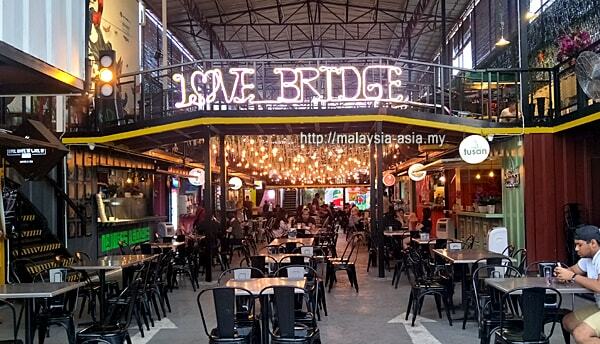 The all new Container City in Miri is definitely a place worth checking out for not only locals but also for anyone who is visiting this amazing resort city. 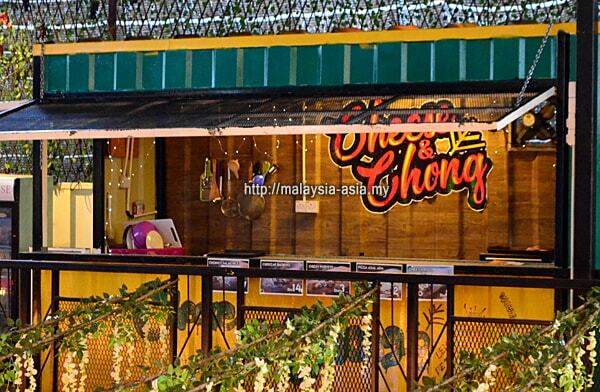 Located in North Yu Seng Road in the main city, this is one of the most happening places in Miri now. 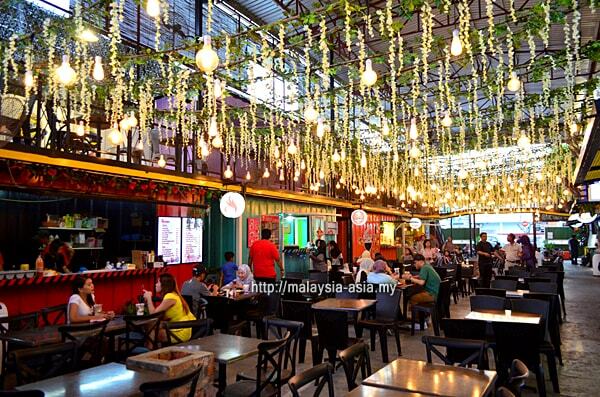 The name Container City Miri also may sound like a lifestyle bazaar, but in actual fact, it is a food haven that operates from refurbished containers. 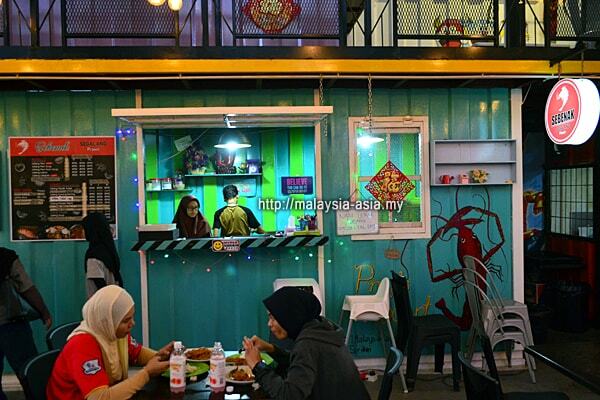 Yes, those old shipping containers have been converted into kitchens at this exciting new place here in Miri, Sarawak. 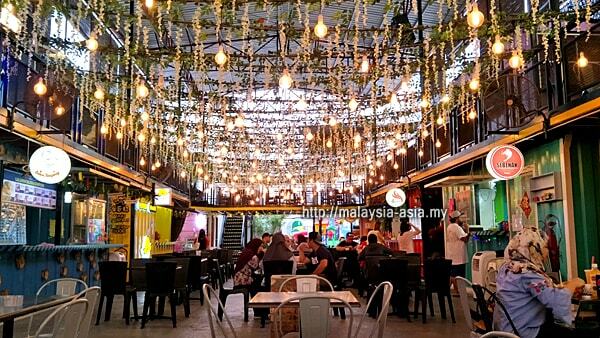 This food bazaar concept is something totally new and never before seen in Sarawak. 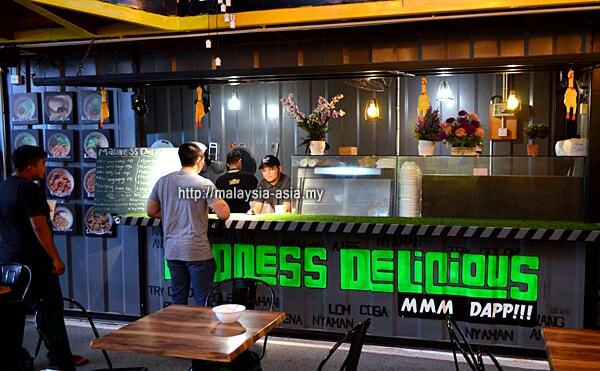 There was once a container bazaar in Petaling Jaya, but that concept stopped and we never saw it again. In Miri, this container concept brings a whole new world of excitement not only to Mirians, but those who are coming from Brunei, Sabah or even from Malaysia and other countries like Singapore, Indonesia and China. 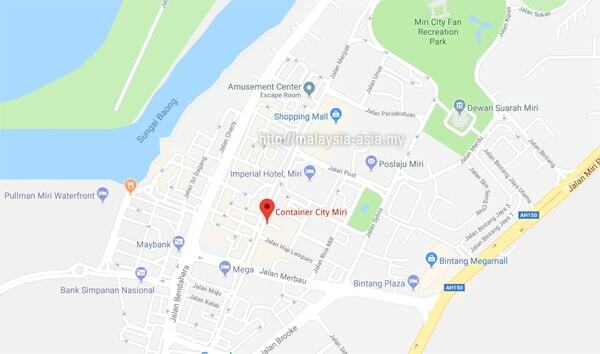 Opened in October 2017, Container City Miri has been receiving raving reviews from visitors to Miri, namely from Malaysians, Singaporeans and Bruneians. 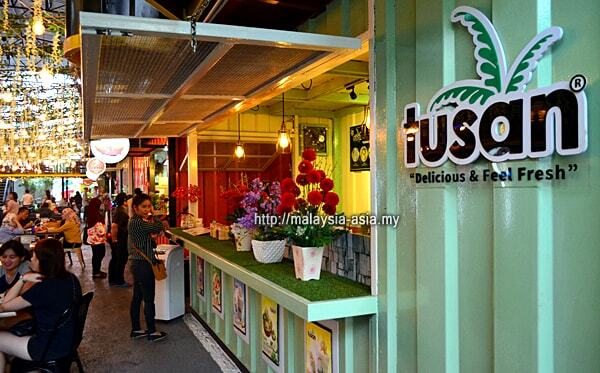 Among all the restaurants here, the Tusan Ice Cream is probably the most popular. However, the balance of choices are well thought off and caters to almost everyone. Note that the food here is all pork free, and there is no alcohol served here. 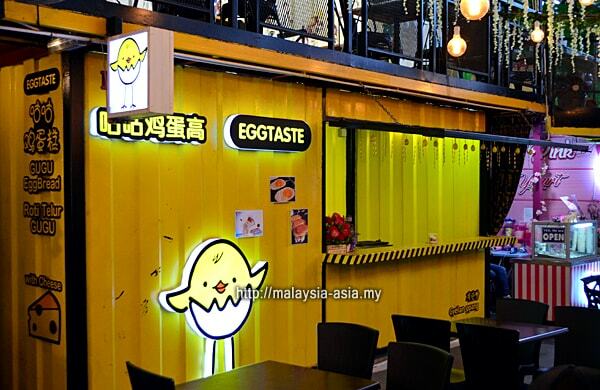 What to Eat in Container City Miri? There is a well balanced food and drink selection available here, and visitors have the choice from over 14 different vendors. Choices include mostly local food, but there is a burger joint on the first level and a seafood container at the back section. 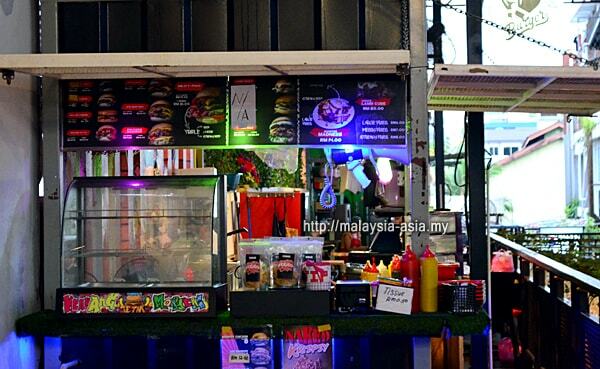 Halal Food at Container City Miri - For Muslim visitors, you are in luck as there are a couple of local Malay and Indonesia choices available. 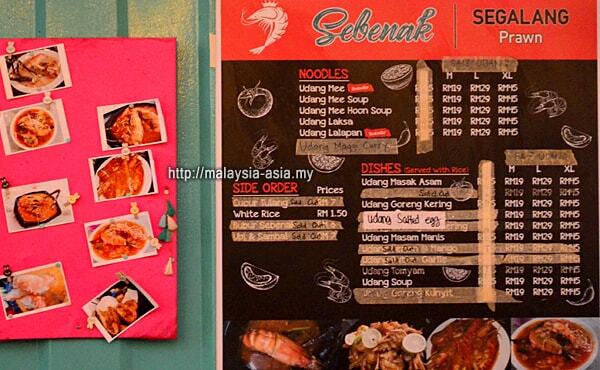 Overall, Container City in Miri does not serve any pork. 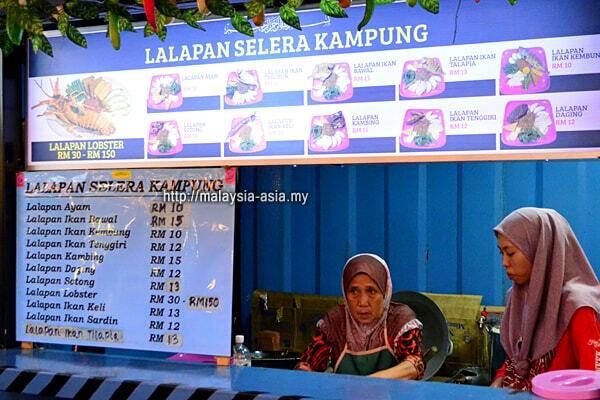 Some of the Malay vendors offer Halal food too. 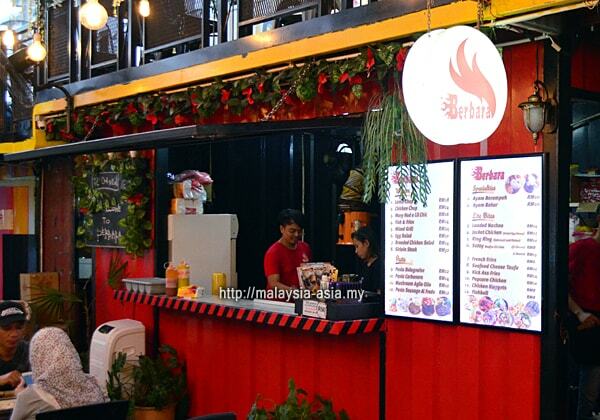 Food at Container City Miri - There are several containers that provide proper meals, and you can choose from Only Mee which serves noodles, Sebenak which serves all kinds of prawns, Madness Delicious which serves a good mix of local Malay dishes, and Lalapan Selera Kampung for some popular Indonesian dishes. 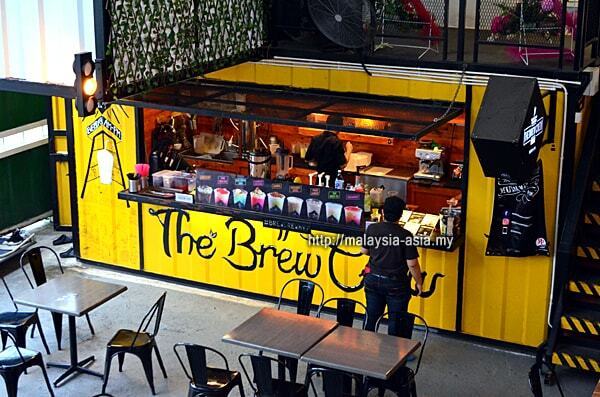 Coffee and Dessert at Container City Miri - Coffee lovers will be pleased to know there is a container called The Brew Crew that serves cafe style coffee. 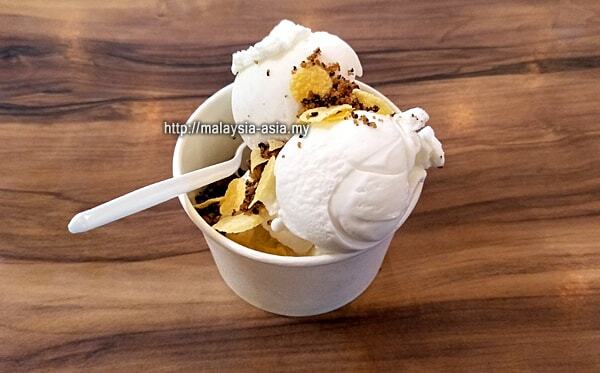 And for dessert lovers, the famous Tusan Ice Cream is available there. 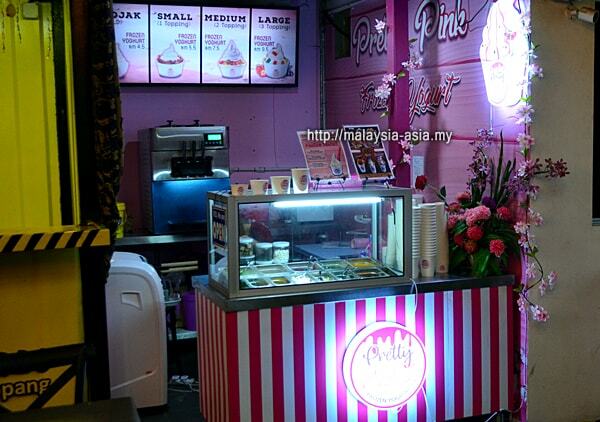 Frozen Yogurt is sold at a container called Pretty Pink while there is a Juice Jungle selling all kinds of juices. 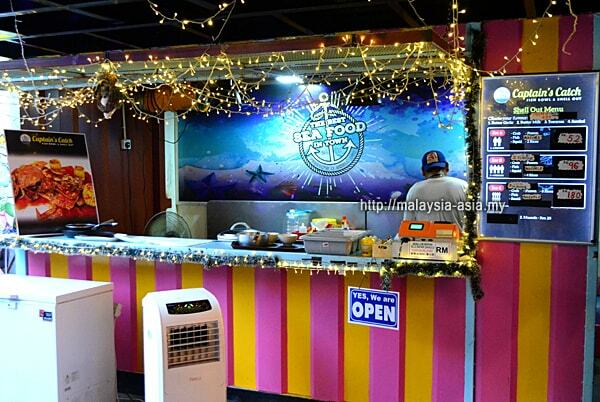 Seafood at Container City Miri - One of the favorites here is Captain's Catch, which serves couple or group seafood meals that are reasonably priced. This is highly popular among couples. Below are random photos taken at Container City Miri when I visited here on the 12th May 2018. They show almost all of the container restaurants that are available here. A majority are on the ground level while on the upper level, there are a few more, plus seating options as well. This place is suitable for singles, couples, families or even large groups. 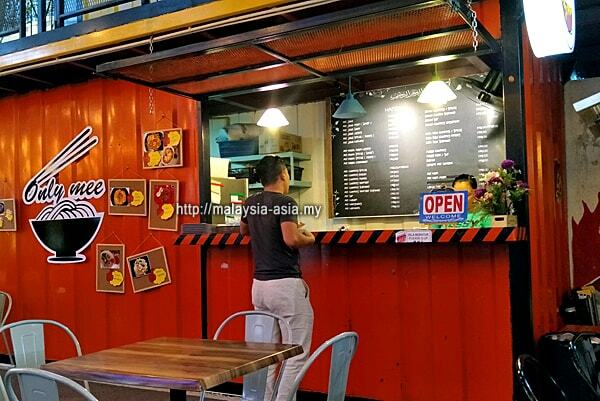 Where is Container City Miri? 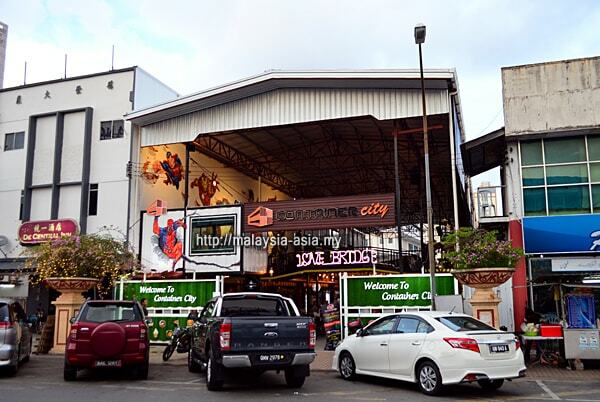 Container City is located along Jalan North Yu Seng, in the main city area of Miri. 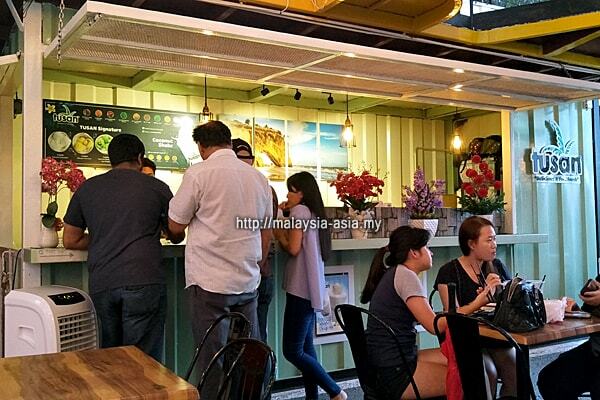 A prominent landmark is the famous Restaurant Muara Lalapan or just further down from the corner Ming Cafe. 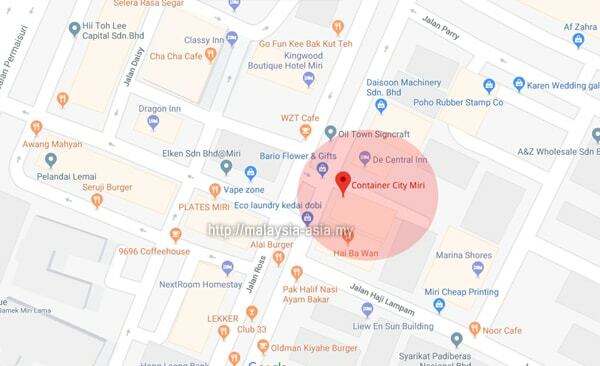 If you are stating in the city area, you can easily walk there from you hotel. 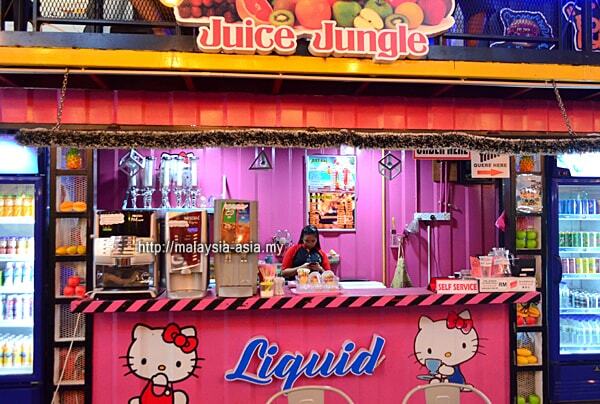 If you stay out of Miri city area, you can take a taxi or Grab to Container City Miri. 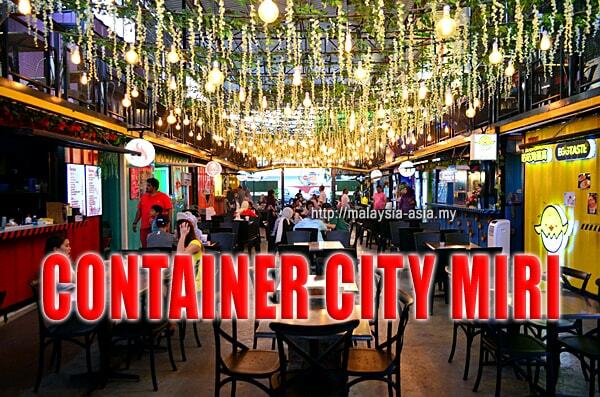 How to go to Container City Miri? If you are staying in Miri City center, just walk there as mentioned above. If you are driving in from Brunei or Sabah, it is located on the main street of Jalan North Yu Seng. 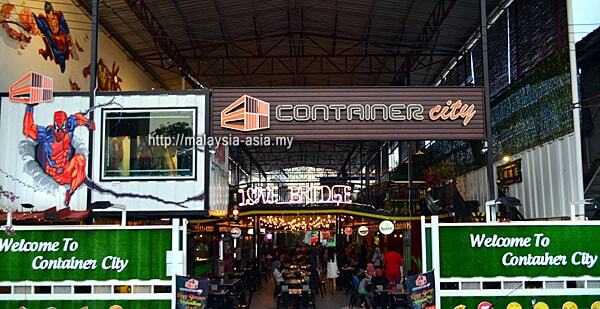 Just use Waze or Google Maps and search for Container City Miri. If you are staying at the Pullman Hotel Miri, it is only a 10 minute walk there. If you stay at Everly ParkCity Hotel or the Miri Marriott Resort and Spa, you need to take a taxi there. Other general hotels in the city is only a short walking distance. 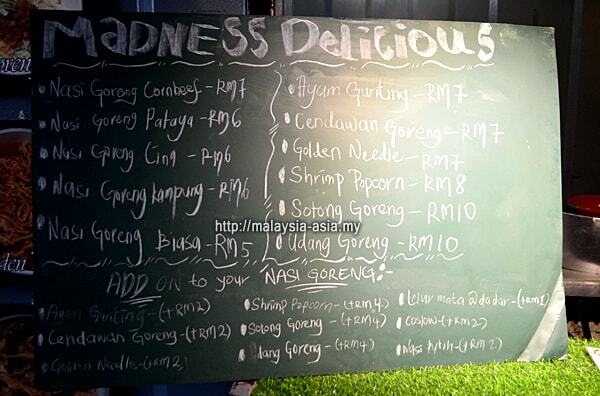 For the traveler or businessman visiting Miri, be sure to take some time to experience this unique eatery. 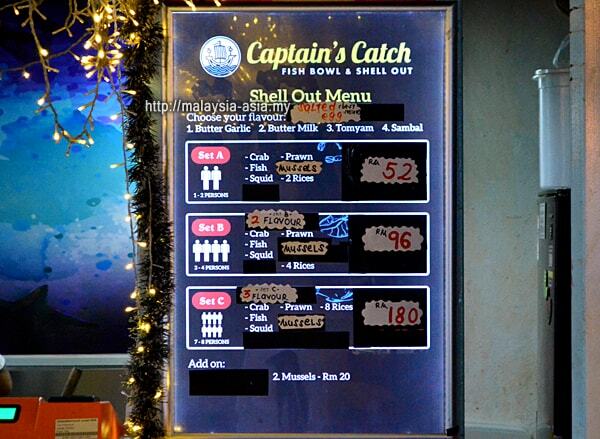 It is also recommended to visit during dinner as the place looks beautiful when lit up with lights at night. For those wanting a peaceful and quiet time here, it is best to visit the Container City Miri before lunch or just after the lunch hour as the place is nice and quiet. For me, I visited this place around 5.00 pm, and there were already a few tables occupied. 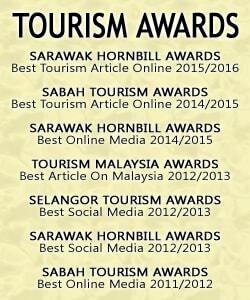 You can also read my other article on what are the things to do in Miri, if you are a first time visitor here, as I have generally identified most of the attractions in and around Miri. Malaysian Travel Blogger and nice blog friend ! !